This recipe has Fat (total lipid) as 56.3% and Sugar as 51.5% (as a percentage of RDA). thai, serrano, ancho, all ok (de-seeded if less heat desired, chopped finely). 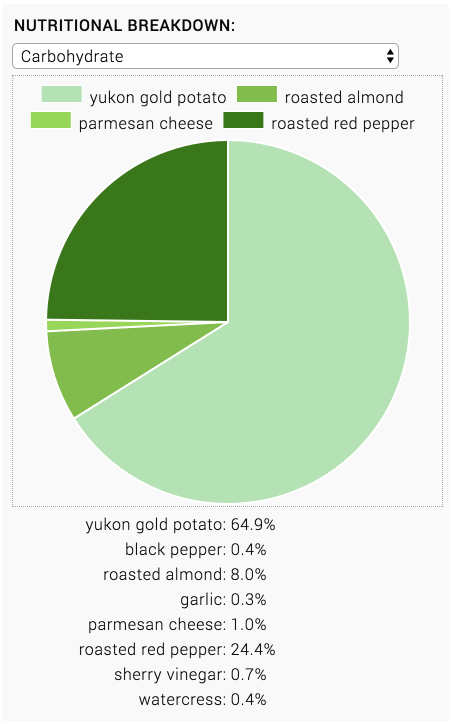 red or yukon gold potato, diced (or 1 small sweet potato, diced). bottoms cut off and sliced in half. or nut butter of choice. tamari or coconut aminos (soy sauce substitute). toasted in skillet until golden (or chopped toasted peanuts). In a skillet, saute onion, garlic, ginger, and chili pepper in a tsp of sesame oil, or if omitting oil use a non-stick skillet. Cook over medium heat 2-3 minutes until softening and fragrant. Add potato and brussels sprouts and toss well to coat. Add coconut milk through black pepper and stir well. Bring to a gentle simmer and cover pan, cooking 5-10 minutes over medium low heat until potato and sprouts are cooked through and tender. Toast sesame seeds or nuts over low heat until turning golden. Remove from heat and grind in mortar and pestle if you have one, or a quick whir in a coffee grinder works too. If you want to skip this step, that's fine, but grinding them lightly really enhances the flavor. Season to taste with salt and pepper, top with cilantro if using, and sesame or nuts. Serve over rice, noodles, or quinoa. Serve it over any kind of brown rice, or over rice noodles, soba noodles, or quinoa.